A scenic 30 minute flight from the capital of the Northern Territory, Clearwater Island Lodge is situated in a wilderness destination on Melville Island, about 100 km north of Darwin. It is positioned on the outskirts of Pirlangimpi, a historic Aboriginal Tiwi settlement, which can trace its history back hundreds of years. Known also as Garden Point, Pirlangimpi is a township of about 300, with the main industry being eco-tourism, forestry and fish farming. 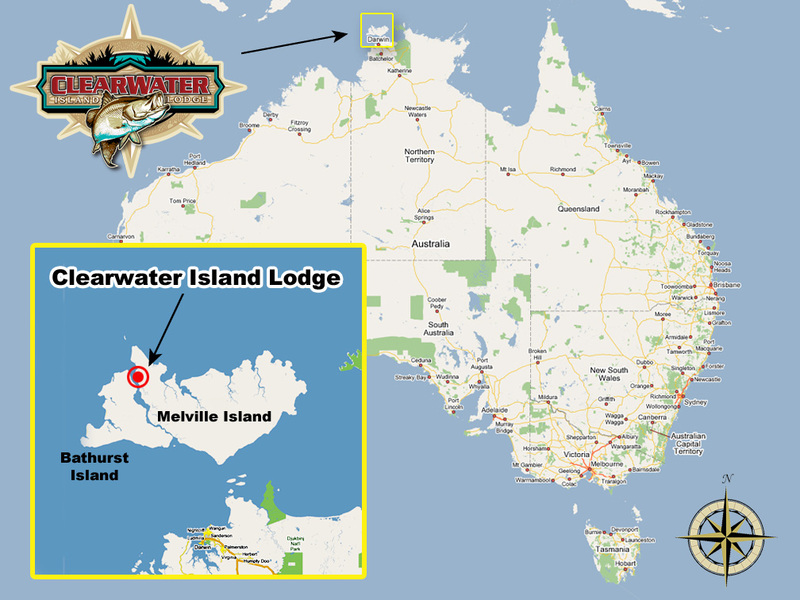 Melville Island is Australia’s second largest island after Tasmania. It features an extensive range of rivers and creeks, sand flats and coastal reefs – all teeming with a wide range of marine life. Indeed, Clearwater Island Lodge is smack in the middle of some of the most spectacular marine and animal life on earth! Wallabies, flying foxes, hawks – and crocodiles! If it’s wilderness adventure you’re looking for, Clearwater Island Lodge will be your “fisherman’s paradise”! Aside from the stunning fishing locations you will experience, the natural beauty surrounding our lodge will leave you awe-struck. 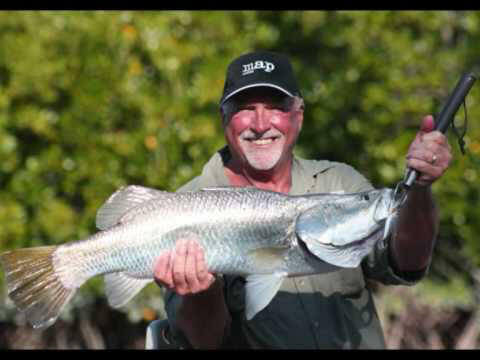 There’s every likelihood that aside from spectacular fishing, you will also get to see crocodiles, sea turtles and dolphins – as well as exotic animal life such as wallabies, parrots, eagles, flying foxes and scores of varieties of water birds. Our lodge and its immediate surroundings certainly provide “that dream come true” for eager fishermen who are looking for the ultimate adventure! You will be transported to Clearwater Island Lodge by light aircraft, a comfortable and scenic 30-minute flight from Darwin in the top end of Australia.